[PDF] Making the Cut: How Cosmetic Surgery is Transforming Our Lives | Free eBooks Download - EBOOKEE! Description: From London to New York, Madrid to Melbourne, Singapore to Tehran, the demand for cosmetic surgery is soaring. Botox injections, collagen fillers, breast implants, microdermabrasion, mini face-lifts: extreme reinvention is all the rage. For better or worse, ours is the era of cosmetic surgical culture. 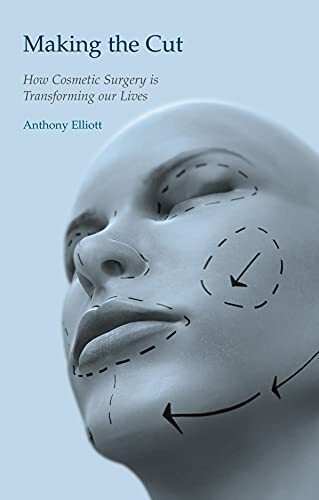 In this captivating book, which draws upon research conducted in Europe, America and Australasia, social commentator Anthony Elliott investigates the rise and rise of cosmetic surgery, lucidly reviewing recent developments in celebrity culture and the consumer industries, which many argue are responsible for the popularity of cosmetic and surgical forms of extreme reinvention. Yet it is not just cultural forces advancing the makeover industries: Elliott shows that cosmetic surgical culture has become increasingly global in our own time as a result of major institutional changes dominating public life in Western societies. He provocatively argues that personal vulnerabilities have reached the point where people turn to surgical culture in an effort to reinvent themselves and improve their life prospects Making the Cut paints a disturbing social portrait of a global culture held in thrall to immediacy, where cosmetic surgical enhancements of the body are fundamental to new forms of self-design and self-improvement. No comments for "[PDF] Making the Cut: How Cosmetic Surgery is Transforming Our Lives".